The path to becoming an Assistance Dog is long and arduous. From birth, puppies are slowly introduced to the world around them. They are weaned and socialized, sent off to puppy raisers all over the country at about 8 weeks and start their journey toward becoming the canine partners everyone hopes they will become. 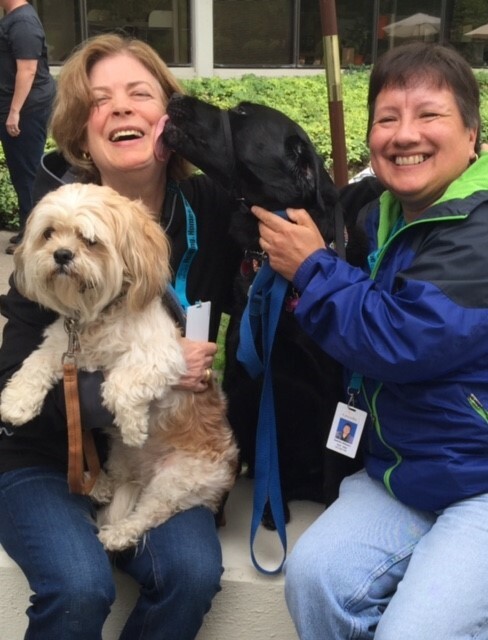 (Pictured left to right: Service Dog, Anada and Clove with their humans, Senior Director of Peer Wellness, Meghan Caughey and Senior Director of Equity, Diversity and Inclusion, Sandra Wilborn. At about 10 weeks old, Clove journeyed to live with the Gish family in Nampa, Idaho. Being their 5th puppy raising experience with Canine Companions for Independence, they were very familiar with the demands and needs of a little one in training. 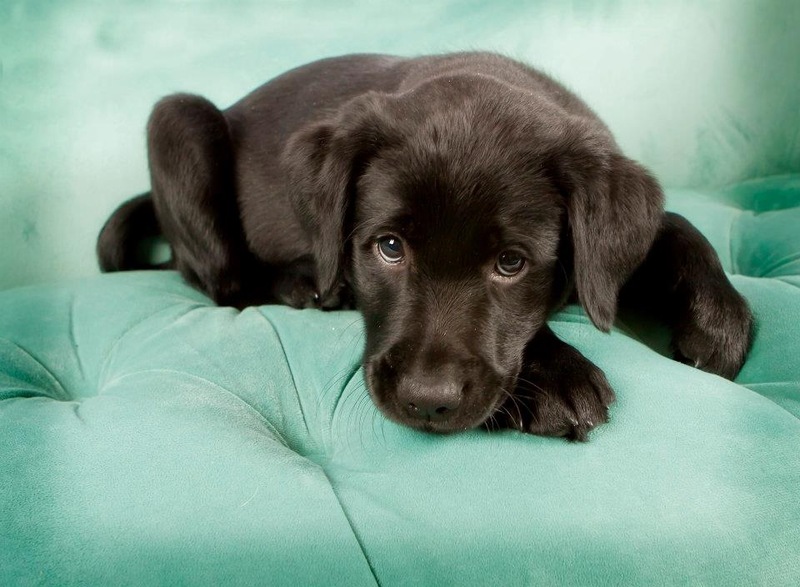 The job of a puppy raiser is to continue socializing pups to a host of experiences while housebreaking and adding more than 30 commands to the pup’s vocabulary before turning them in at 18 months. Puppy raisers selflessly cover the cost of care involved, have to go through the process of dealing with loss at turn in, and ask nothing in return. Could you do that? Puppy raisers are a rare breed, indeed. Clove was turned in to Canine Companions for Independence in Santa Rosa, CA in August of 2013 during a matriculation ceremony, which coincides with service class graduations four times a year. It was there she would continue in her training with the professional trainers of this wonderful organization that has been a leading provider of assistance dogs nationwide since 1975. There would be tests of temperament, spirit, health and character. At hand were temptations galore such as rabbits, squirrels and cats, and tons of opportunities to play and behave wonderfully well while learning an additional 20 plus commands, which are shaped and honed to potentially assist a person with a disability. After six months of professional training, Clove was chosen for a special class of possible Facility Dog graduates. One of five categories of assistance dogs trained by Canine Companions for Independence, Facility Dogs are paired with professionals who engage clients in therapeutic interventions. In February of 2014, Clove found a new home as a canine employee in the Secure Residential Treatment Facilities at Cascadia. Clove has since begun to practice Public Relations and therapeutic interventions as part of the Equity, Diversity & Inclusion department. She’s a common practitioner of therapeutic interventions wherever she goes and plans to continue along this line of work for years to come. She is grateful to her puppy raising family for the opportunity to live the life of an assistance dog, and loves her Cascadia family completely! To learn more about assistance dogs and the wonderful support they can offer adults with various disabilities and hearing impairments, veterans with disabilities, or families that have a child with a disability, go to CCI.org. CCI provides assistance dogs free of charge to the recipient.